Suzanne Winston & Associates (SWA) specializes in interior decoration, kitchen and bath design, renovation, historic preservation, consultation and design on the Gulf Coast. SWA provides a seamless, turnkey experience to help those in any stage of the design/build process. From project management to kitchen design to adding the finishing touches, like furniture and accessories. 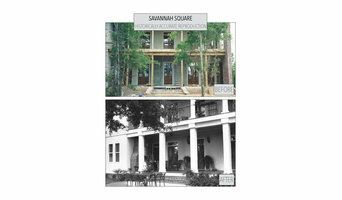 Suzanne has been working in design and restoration for the past 15 years. In her previous career she was a TV News Reporter. We at Kitchen Design & Cabinetry are focused on providing high-quality service and customer satisfaction. We will do everything we can to meet your expectations. 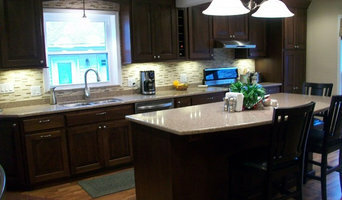 We will help you refresh the look of your kitchen from cabinets to total kitchen renovation. We'll also work with you to come up with a comprehensive plan for the kitchen of your dreams. With our many years of experience, we guarantee you'll be satisfied. So don't delay, get that dream kitchen now! Opened in early 2010, the Coast Design Kitchen & Bath showroom was built with you in mind. When you walk through the doors, you’ll find much more than a simple display of our cabinet and appliance product lines. You’ll find an inspiration and resource center! Whether you’re updating an old bathroom, fashioning a fabulous custom closet, turning a spare bedroom into a media room or study, or creating a kitchen for your new home, we’ve got the experience, the creativity and the passion to take your dream and make it a reality. Building products and Kitchen and Bath Showroom • Kitchen and Bath Designer • Other Rm Specialist • Space Planner • Hi, this is Lisa Graham I bring 28 years of experience in the residential kitchen and bath remodeling industry, I have a reputation for visualizing and turning existing, as well as new spaces into something innovative and exciting. From conception through completion, I always have my client’s needs and budget at the forefront of my designs. My attention to detail allows me to create beautiful, as well as functional kitchens, baths and other rooms on time and on budget. Throughout my career, I have enjoyed the challenges of residential remodeling and look forward to creating custom dream spaces for all of my clients. I bring passion and enthusiasm to my work and it shows. Kitchen & Bath / Interior Designer / Curb Appeal Specialist / Facade Enhancement / Landscape Design / Real Estate Staging / Home Improvement Consultant Design and specification for the installation, fabrication, and/or updating of kitchen & bath cabinetry and fixtures. Interior Decorating: Selecting paint colors, lighting, counter-tops, back-splash, floor-coverings, furnishings, window treatments, and accessories. Coordinating with trade professionals, fabricators, artisans, utilizing local and online sources. If you need the assistance of a professional, talented, experienced interior designer, and want to save money ... call, text, or email to schedule your FREE In-Home consultation. As a kitchen designer, certified by the National Kitchen and Bath Association (1999), my goal is to create a space that reflects your personality and attends to your everyday needs. Whether new construction in the “planning” phase or remodeling a dated and tired space, together we will assess your needs and desires so that I can efficiently and creatively present the best options for you. Jane and Roy, our owners and principal Kitchen & Bath Designers at Pinnacle Cabinets & Closets, have a combined 50 years of experience in the industry. 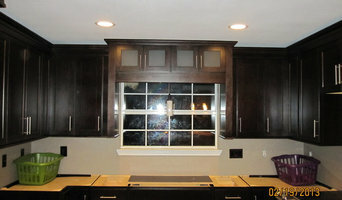 We proudly serve both Professionals and homeowners on all of their custom cabinetry projects. For the best in custom cabinetry, our multi-tasked team has taken elegant living to a whole new level. We are an award winning company offering superior custom cabinetry at competitive prices. Now you can enhance your living space with premium products and services featuring kitchen and bath cabinetry and counter tops, vanities, and closets. We have developed our brand by designing and installing custom cabinetry using premium materials with superior craftsmanship. Visit our Pensacola showroom today! We look forward to working with you! Sarah is an award winning kitchen and bath designer. She has over 17 years experience in the kitchen and bath design field from initial consultation through completion. She has recently been recognized in 2 national contests. Sarah won 1st place in the 2014/2015 GE Monogram Dream Kitchen Design Contest for the Traditional Kitchen category and she placed as 1st runner up in the 2015 NKBA U Professional of the Year Award. 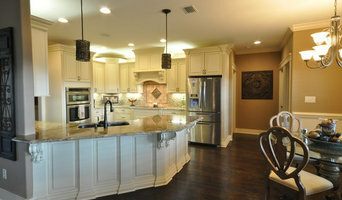 I am an Interior Designer at a kitchen and bath remodeling company serving the Pensacola, FL area. There are two interior designers on staff, a full construction crew and glass and granite departments. I can help walk you through your remodeling project from the initial concept to the finishing details. We help you create our dream kitchen and bathroom. Looking for kitchen design ideas, remodeling your bathroom or creating a new space? Then come to our showroom for a stunning selection of plumbing fixtures, kitchen appliances and cabinet hardware. For more than 35 years, Re-Bath® of Mobile has helped homeowners convert worn, outdated bathrooms into beautiful new bathrooms with quality remodeling services. We believe that a remodel doesn't need to be a messy, expensive headache. Since our inception, we've pioneered an entirely new concept — to quickly and efficiently remodel your bathroom and shower with minimum disruption to you and your home so you can bathe in luxury. Turn your kitchen like new with QBC Granite Counters in Mobile, Alabama. QBC Granite offers the expertise necessary to completely transform your kitchen or bathroom without the expensive prices in typical granite installation. QBC Granite Counter Tops actually cost less over the course of several years because you almost never have to replace them. The beauty of QBC Granite Countertops lasts just as long as the material itself. We are locally owned and operated based in Mobile, Alabama serving the entire Gulf Coast region. Whether you need somebody to help you with kitchen remodeling or bathroom remodeling, our professionals at QBC are always happy to lend assistance. We enjoy working with granite, which is why our slogan is we will rock you! We have been rocking Alabama for over 10 years now. QBC provides a variety of services including installation, remodeling and repair. Most customers in Mobile, Alabama and the surrounding area have our professionals from QBC over to install Mobile Granite Countertops. 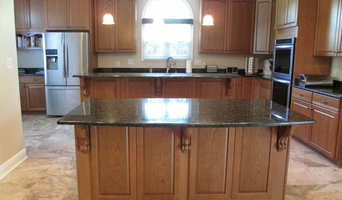 The benefits of adding Mobile Granite Counters to your kitchen and bathroom are numerous. In addition to its appearance, granite lasts a lot longer than other surfaces. Discover Fairhope Kitchen Studio. From concept to completion, results you will love! Everyone has their dream bathroom or kitchen design, from the type of flooring to the color of the walls to even the types of cabinet handles. Those dreams can be turned away due to common logistical issues, such as cost of remodeling; allotted time to do the work; and a reliable business to help with labor and materials. Well, it’s time to bring your vision to the forefront, because Fairhope Kitchen Studio is the interior design company you deserve. Operating on the Gulf Coast in Alabama, Fairhope provides excellent professional kitchen and bath design that fit any function and/or aesthetic. Among the high quality products Fairhope provides are cabinetry, countertops, and cabinet hardware. Each type of product is made with attention to detail and keeping in mind form and function. Starting with the cabinets, these set the visual tone for the room. Fairhope works with various well-known cabinet companies like Kraftmaid, Medallion, and Legacy to supply the best materials in the industry. Fairhope Kitchen Studio services the Gulf Coast, including Gulf Shores, Orange Beach, Pensacola, Baldwin, Mobile, and Escambia counties. Stop by the showroom and see for yourself how impressive a true interior designer company can be. Call to set up an appointment with a consultant. Fairhope offers competitive, but affordable prices and can work within any budget. It’s time to put a plan in action for the home of your dreams, and that plan starts with Fairhope Kitchen Studio. What does a Montrose kitchen designer or bathroom designer do? A kitchen and bath design professional in Montrose, AL knows to take all of these crucial points into consideration and can help plan the layout, materials and overall look and feel of either of these rooms in your home. Kitchen designers, as well as bathroom designers, are constantly staying on top of trends in the ever-changing industry. The designer also knows the best layout for your room, and can configure the layout for optimal functionality and utilization of the space. In the kitchen the refrigerator, stove and sink should be laid out in relation to one another, and it should be seamless and easy to move from one to the other. A Montrose kitchen and bath designer will know how to work with a contractor and architect to plan the flow of the room to work best for your needs. Here are some related professionals and vendors to complement the work of kitchen & bath designers: Kitchen & Bath Fixtures, Appliances, Tile, Stone & Countertops, Cabinets & Cabinetry, Woodworkers & Carpenters. Before you talk to bath and kitchen designers in Montrose, AL, consider how you will use the room. For your bathroom, is it necessary to have a bathtub for bathing kids or pets, or would a shower suffice? Perhaps all you need is a half bath for downstairs or a smaller guest bath for occasional use. Similarly, for kitchen renovations consider your cooking habits. Do you eat out every night but need a space to entertain in? If so, a smaller kitchen might be fine for you, with a space devoted to wine storage or a bar, whereas others might prefer a bigger stove or extra cabinets. When interviewing Montrose kitchen and bath designers, make sure to share these habits so they can best fit the room to suit your needs. Find a Montrose kitchen designer or bathroom designer on Houzz. Narrow your search in the Professionals section of the website to Montrose, AL kitchen and bath designers. You can also look through photos in Montrose, AL to find a kitchen or bathroom you like, then contact the professional who designed it.